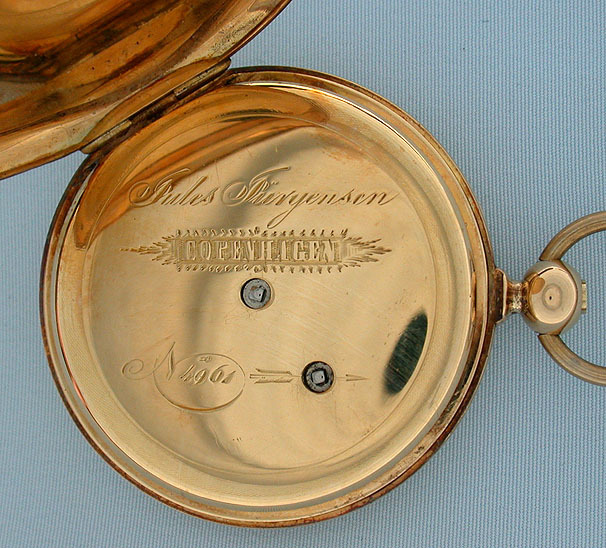 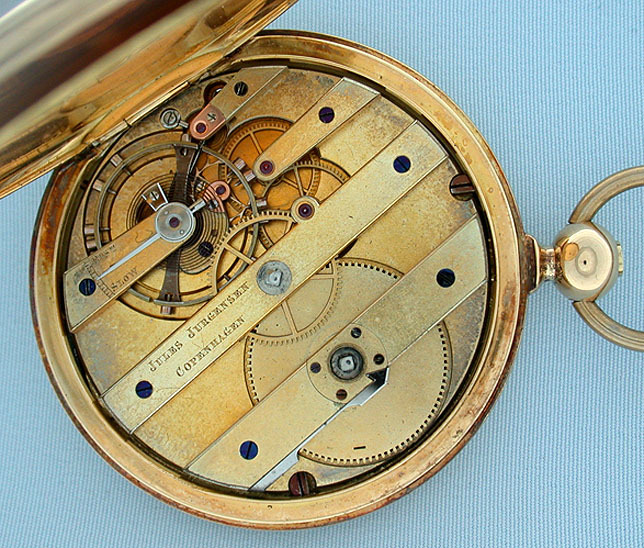 Fine and scarce Jules Jurgensen 18K gold hunting case keywind pivoted detent pocket chronometer #4961 circa 1850. 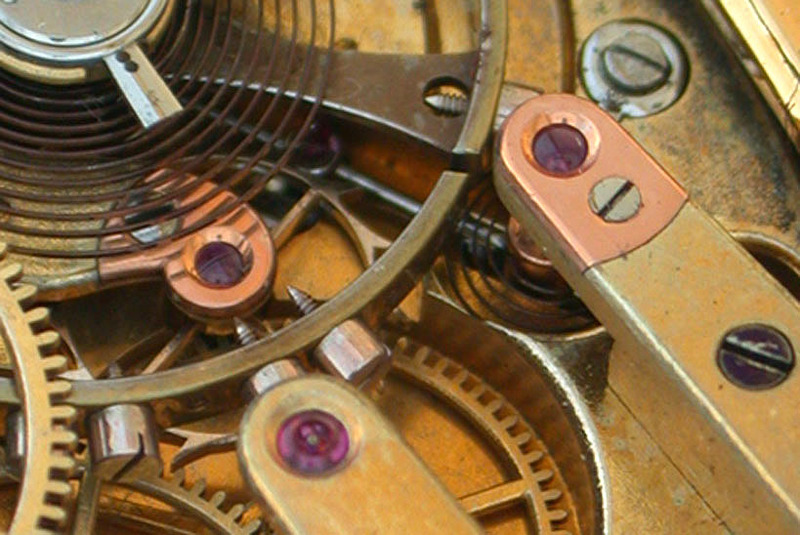 The 19 jewel gilt movement with oversized balance and gold escutcheons. 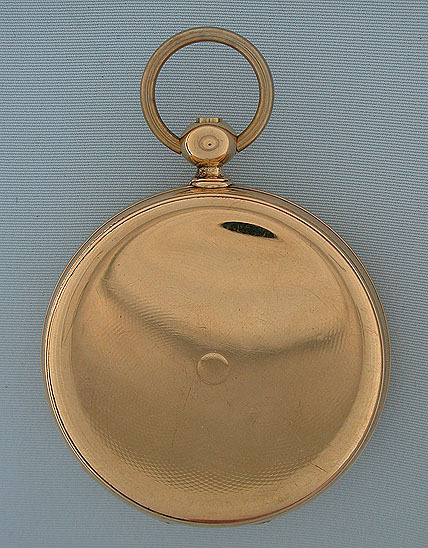 Substantial case with traces of engine turning. 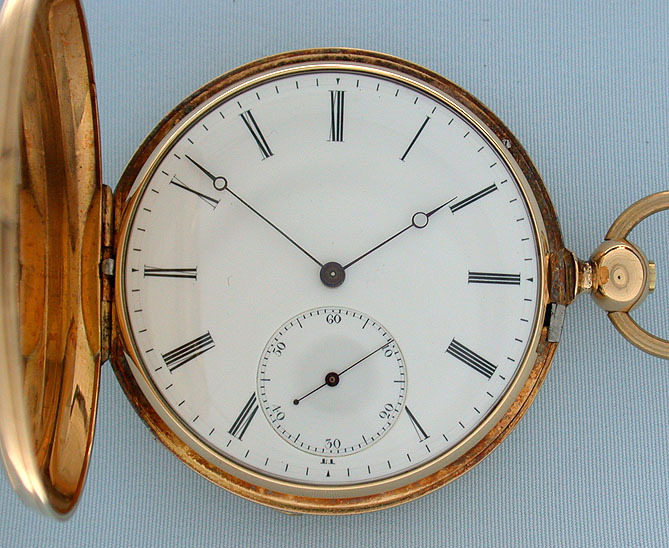 White enamel dial (clean hairline) with blued steel Breguet hands. 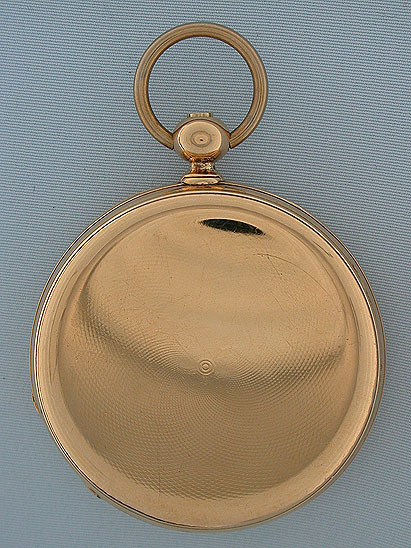 Jurgensen is a very highly respected maker and his keywind chronometers are very scarce.